The UFC returns to the UK with arguably the biggest star they’ve ever taken there in the modern era. More than that, the entire card is airing on Fight Pass, a demonstration they’re making an attempt to invest in the platform. The rest of the card is designed for European audiences with talent who are designed to catch local fans’ eyes, but who are on the bubble in terms of meriting a roster slot in the UFC. When: Saturday, the nine-fight Fight Pass preliminary card starts at 12:45 p.m. ET and the four-fight Fight Pass main card starts at 4 p.m. I really want to pick Bisping here. I really, really do. I have a deep admiration for his career and recognize just how much he’s been set back by opposition using PEDs. More than that, he’s been badly knocked out and shown virtually no psychological scars as a consequence. Many fighters would never have recovered from the way in which Dan Henderson beat him. I also don’t think Silva had the greatest showing against Nick Diaz. The truth is, though, Silva’s only ever lost to Chris Weidman in the UFC. He rushed to return to make the Diaz fight happen. I don’t think we’ve had a chance to see what could be still there in terms of his offensive potency. I don’t know where Silva is now and none of us do. 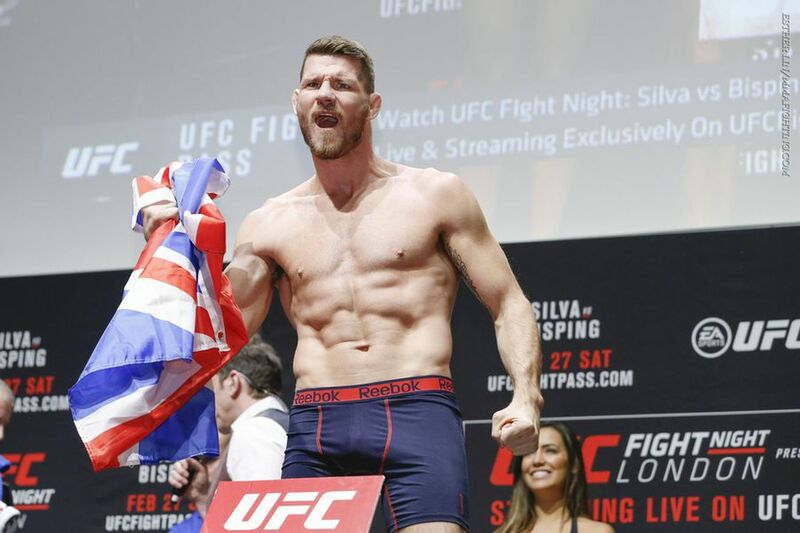 But in order for Bisping to have a chance against Silva, the Brazilian’s decline would have to be precipitous. Maybe it is and we’re about to find out, but there’s a nagging skepticism telling me we’re jumping the gun on Silva just a bit.